Posted by Kim May on April 9, 2019 under DB2 Education, DB2 for z/OS, DB2 Gold Consultants, Frank Fillmore, HTAP, IBM DB2 Services, IDAA, Netezza, TFG Blog. Join us for this new and improved for 2019 class to be delivered by IBM Gold Consultant Frank Fillmore. Contents include IDAA v7 early experiences, best practices, and v5 to v7 migration tips. Attendees will learn how an IDAA v7 (aka “Sailfish”) can extend System z’s processing capabilities to enable Hybrid Transaction/Analytic Processing (HTAP). For IBM System z customers considering an IDAA purchase, this class provides an overview of the architecture, use cases delivering value, and insight into the administration of the accelerator. Class is free to IBM System z customers considering an IDAA purchase. The Fillmore Group will provide breakfast and lunch each day; attendees are responsible for their own travel and lodging expenses. An introduction to the V7.1 architecture and Integrated Analytics System (IAS). The heterogeneous accelerator environment: what works well today. Assessment tools to support acquisition: Workload Assessment, Client Value Engagement, PoC. Positioning IDAA within your organization with the most valuable use case. Migrating from the Netezza-based IDAA to v7.1. Assessment: What is the workload that would benefit from being accelerated? Optimization: How do I monitor and optimize a workload to take advantage of the Accelerator? Administration: Can I manage the Accelerator more effectively? 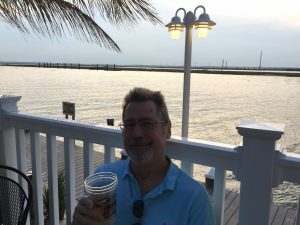 Posted by Kim May on August 23, 2018 under Baltimore Washington DB2 Users Group, DB2 Education, DB2 for z/OS, DB2 Gold Consultants, Frank Fillmore, IBM Champion, IDAA, TFG Blog. 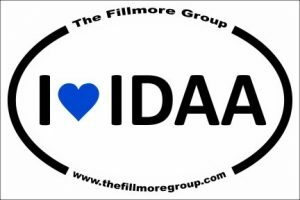 Following his successful hands-on IDAA class in Columbus, Frank Fillmore will be presenting on the IDAA at the September Baltimore/Washington Db2 Users Group, scheduled for Wednesday, September 12th. Frank’s presentation and bio are below – last, per his request – keep reading – ! If you are in the area September 12th please join us. If you have any questions on the upcoming meeting or are interested in presenting please contact me. When you get tasked with setting up a refresh process for thousands of Db2 z/OS tables you probably have a few thoughts running through your head: How long does it take to create all the required jobs? How long for all the control cards? Do all the target tables exist, or are there any new tables in production? Have tables been changed? Better double check if the tables have grown or if Db2 has added more VSAMs so that you don’t run out of space halfway through like last time. Don’t forget catalog statistics and RTS. And those identity columns and sequences – they’re always trouble. What seems like little bits and pieces at first can really stretch your staff thin, which is why automation is key if you want to save time and energy. This presentation discusses advantages and disadvantages of different utilities that copy Db2 data, but the main focus is automating all the side tasks that DBAs usually need to do in addition to copying the data itself. LOB compression is one of the more interesting features of Db2 12. It promises performance gains for your application that use LOB’s, coupled with disk savings! This presentation provides an overview of the feature, and discusses some of the performance characteristics. Then we move on to pros and cons, and a process for taking advantage of the feature. Gain an overall understanding of Machine Learning for z/OS and its role in enabling advanced analytics on IBM Z. You will learn how this machine learning technology integrates with Db2 Analytics Accelerator and Db2 for z/OS to drive real-time insight on an enterprise scale. IBM Db2 Analytics Accelerator (IDAA) v7 has been completely re-engineered. Previous IDAA versions were based on legacy Netezza technology including PostgreSQL (the “brain”) and Field Programmable Gate Arrays (FPGA – the “heart”). IDAA v7 – aka “Sailfish” – uses Db2 with BLU Acceleration and POWER processors. The benefits are greater compatibility between Db2 for z/OS and the IDAA, fewer hardware problems, improved Incremental Update latency, and lots more. If you are an existing IDAA shop considering migrating to v7 or have not previously considered IDAA, this presentation will cover what you need to know. Jonathan Sloan is a Senior Certified Executive Software IT Specialist, with more than two decades experience successfully leading, selling and implementing business analytic and data warehouse applications as a vendor as well as an implementer. He joined IBM in 2000 and specializes in helping customers understand the application of IBM Information management technology to business problems. Frank C. Fillmore, Jr. is the Founder and President of The Fillmore Group, Inc., a Premier IBM Business Partner specializing in Hybrid Cloud and Analytics. Frank has been a Db2 Gold Consultant since 1998 and currently is an IBM Champion for both Analytics and System z. Frank has frequently presented on cutting-edge topics at regional and international Db2 Users Group meetings and the IBM Insight conference. Posted by Kim May on June 14, 2018 under DB2 Education, DB2 for z/OS, DB2 Gold Consultants, Frank Fillmore, IBM Champion, IDAA, Mako, Netezza, TFG Blog. Gold Consultant and Z Systems Champion Frank Fillmore will deliver a free, hands-on IBM Db2 Analytics Accelerator/IDAA class on Monday and Tuesday, July 23rd and 24th, at the IBM Dublin Campus near Columbus, Ohio. Class has been updated to showcase the new IDAA V7.1 (“Sailfish”) and covers the new architecture, sizing considerations for the new generation of IDAA appliances, and recommendations for organizations upgrading from the Mako (V5) to Sailfish. The fine print: attendees must be IBM customers considering an IDAA purchase in 2018. While class is free (and we will treat attendees to breakfast and lunch both days), attendees are responsible for their own travel and lodging expenses. Finally, if there is any additional information needed please feel free to email me at kim.may@thefillmoregroup.com. Join us for this refreshed class that includes material specific to the latest IDAA “Sailfish” releases, including V7.1, and the M4002, aka “Maverick”. Attendees will learn how and why an IDAA can extend your System z’s processing capabilities to enable Hybrid Transaction/Analytic Processing (HTAP). An introduction to the new V7.1 architecture and IBM Integrated Analytics System (IIAS). Assessment tools to support acquisition: Workload Assessment, CVE, PoC. – Assessment: What is the workload that would benefit from being accelerated? – Optimization: How do I monitor and optimize a workload to take advantage of the Accelerator? – Administration: Can I manage the Accelerator more effectively? Posted by Kim May on April 23, 2018 under Authorized Training Partner, DB2 for z/OS, DB2 Gold Consultants, DB2 Migrations, Frank Fillmore, HTAP, IBM Champion, IDAA, International DB2 Users Group (IDUG), TFG Blog. I am pre-announcing (if that’s a word) our upcoming free, hands-on IDAA training class scheduled for June 19th and 20th at the Radisson Cross Keys in Baltimore. This class is being updated to support the IDAA V7.1 (“Sailfish”) and will contain content covering the new architecture, sizing considerations for the new generation of IDAA appliances, and recommendations for organization upgrading from the Mako model IDAA’s to Sailfish. We have 20 available class seats, available on a first-come-first-served basis. Frank and I will be at IDUG next week promoting the class – if you have any questions and would like to discuss the class content, your IDAA challenges, or anything else IDAA-ish – let us know if you will be there and we will try to meet. The registration link is here. My email is kim.may@thefillmoregroup.com – email me with any questions. Posted by Kim May on March 5, 2018 under Authorized Training Partner, DB2 for z/Linux, DB2 for z/OS, DB2 Gold Consultants, DB2 Stars, Frank Fillmore, IBM Champion, IBM DB2 Services, IBM Information Management Software Sales, TFG Blog. Frank’s on a roll – he recently received notification his US Secret clearance was approved and learned this morning he’s been named an IBM Champion in a second category – IBM System Z – making him a “Double Champion” in both System Z and IBM Analytics. And he recently earned his Amazon Web Services Certified Solutions Architect certification so he can help Db2 for LUW users deploy on the Amazon cloud when, you know, management tells them they must. Frank is juggling a couple current projects and managing The Fillmore Group’s consultants. If you are in need of IBM System Z and/or Analytics education, consulting, staff augmentation or purchasing assistance he would be happy to chat with you about how our team can help. And don’t forget to congratulate him – he is one of four consultants recognized by IBM for the “Double Champion” status!